Buenos Aires is often called the Paris of South America, not only because of the French-style buildings in the upscale neighbourhood of Recoleta, but also because of its 19th century urban planning that was modeled on the French capital. Buenos Aires has a wealth of parks, plazas and green spaces that are great to wander around or spend a weekend afternoon in the summer drinking mate with friends. Here are the prettiest squares and plazas in the city of Buenos Aires. 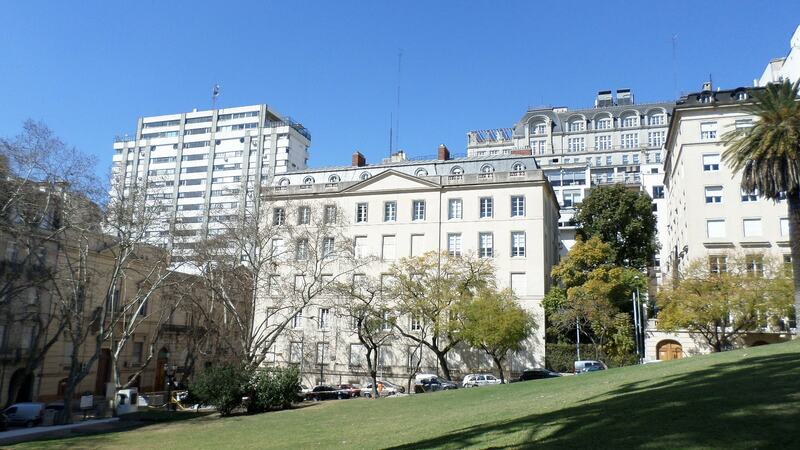 Often mistakenly called Plaza Francia, this Recoleta park is actually called Plaza Intendente Alvear and is located just down from the famous Recoleta cemetery, where Eva Peron is buried. The park is well known for its weekend market and the activities that take place around it on Saturdays and Sundays. You will see lots of people sitting out enjoying the weather and browsing the artisanal goods for sale in the market, which is particularly good for jewellery and handicrafts. 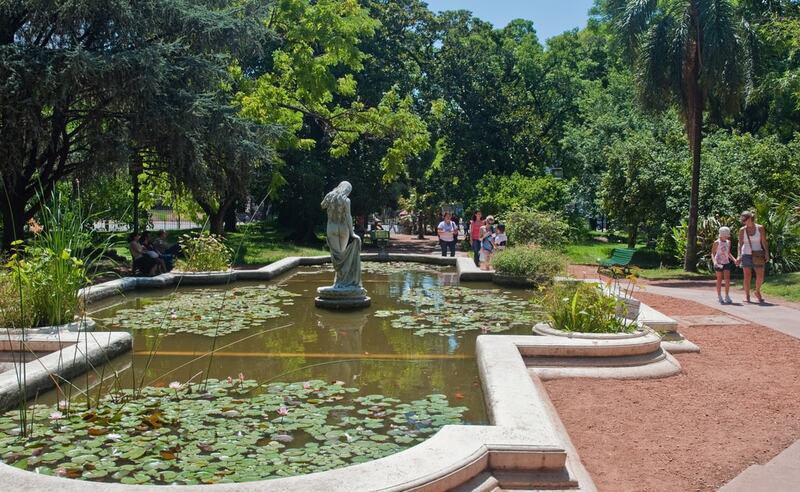 Often overlooked in favour of some of the city’s bigger and more isolated parks, the Barrancas de Belgrano is a favourite of locals who live in the northern neighbourhood of Belgrano, which is also home to the city’s Chinatown. The park rises steeply to a bandstand where locals come nightly to dance tango, and some of the best choripan in the city can be found at the food kiosks next to the train station and bus depot opposite the park. 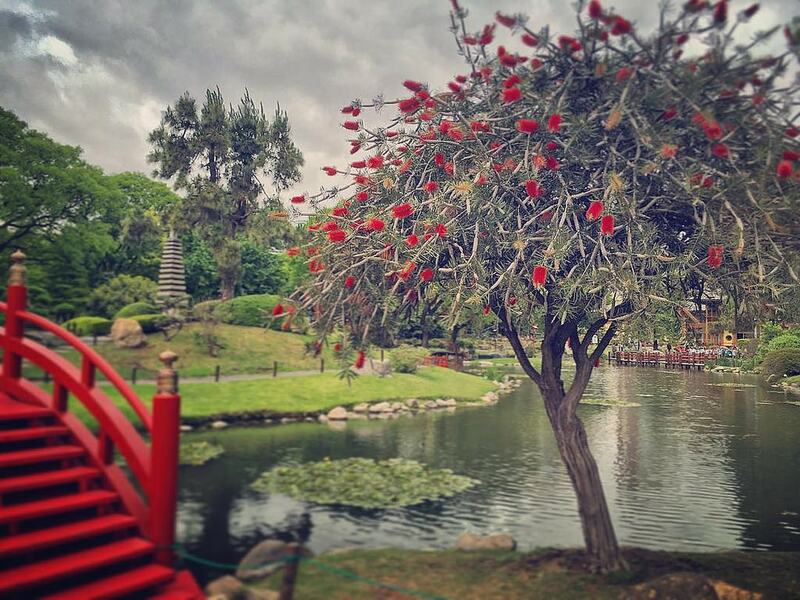 Buenos Aires’ Japanese Gardens are one of the biggest of their kind outside of Japan, and boast a range of native Japanese flora and fauna, including bonsai trees and a carp lake. The garden also has a number of Buddhist sculptures, and a tea room where Japanese-related events are held regularly. The park was completed in 1967 and has been a local treasure ever since. This park used to be pretty sketchy, but it was refurbished a few years ago and is now one of the biggest and best parks in the city. Less frequented than the rosedal and its surrounding parks, the Regata Lake is quieter than other parks in the bosques, but benefits from the same outdoor gym equipment, manicured lawns, and wealth of vegetation that the Buenos Aires parks are known for. The botanical gardens in Palermo is somewhere that locals rarely visit, but they are missing out, because it is easily one of the most serene places in the city. A greenhouse is home to some exotic plants, and to the rear of the red brick building that fronts onto the park’s newly remodelled entrance, there are hundreds of species of plants, bushes, and trees planted that will easily take up an entire afternoon to make your way around all of them. There are lots of pretty benches to sit on throughout the gardens, and it is a perfect spot for a day date with your paramour. Located smack bang in the centre of the city, Parque Centenario is a wonderland of everything that makes Buenos Aires what it is. A weekend market occupies the ring road that surrounds this circular park, and around the park’s central lake you will see groups doing yoga, circus performers practicing their balancing acts, locals hustlers selling cakes and jewellery, and you can even adopt a pet from the people who bring street animals to the park in the hope of finding them a better home. Parque Centenario is currently undergoing renovations, but the park is still open to be enjoyed every day. 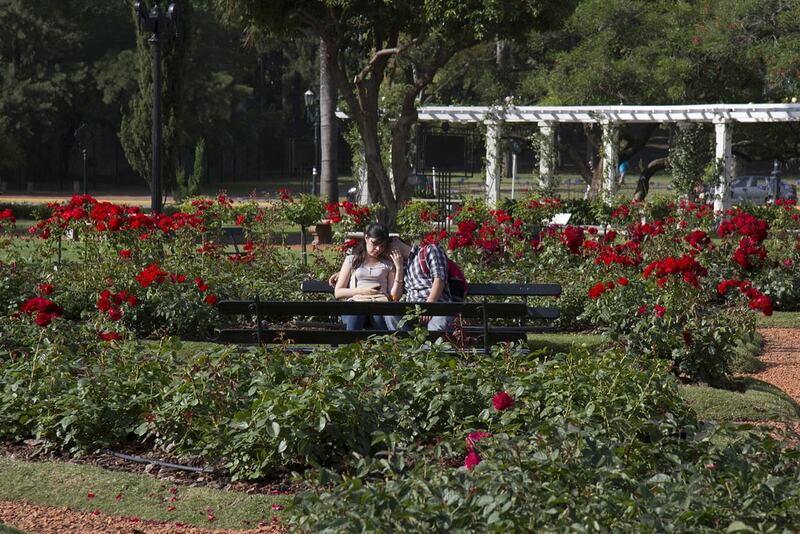 The rose garden, or rosedal, in the Bosques de Palermo is surely one of the most romantic places in the city. Pristine rose beds bloom with beautiful flowers, and you will see lots of couples strolling around the gardens on any given day. There are plenty of other attractions nearby as well, including the space-age planetarium and an exercise path where you will see Argentines in the droves running, rollerblading, and cycling.